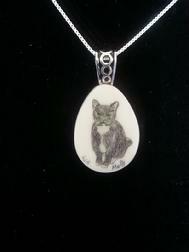 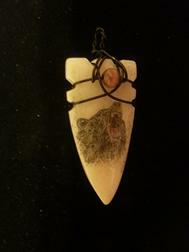 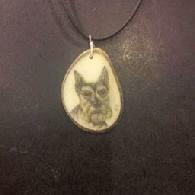 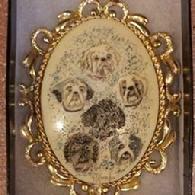 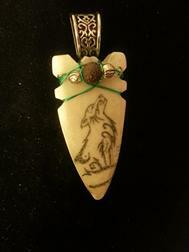 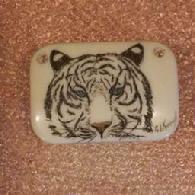 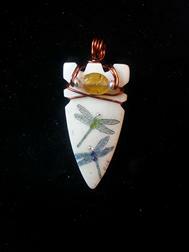 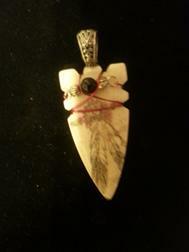 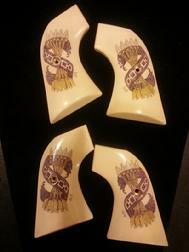 Scrimshaw is the name given to scrollwork, engravings and carvings etched in bone or ivory. 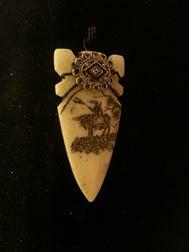 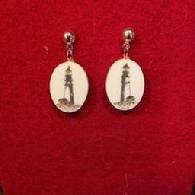 Scrimshaw essentially was a leisure activity for whalers. 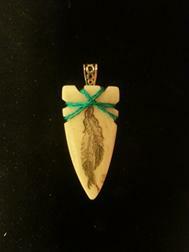 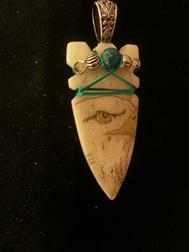 While scrimshaw is rarely done on whale bone these days, it is still practiced by a few artists. 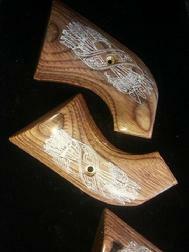 Common modern materials are micarta, ivory (elephant, fossil, walrus), hippo tusk, warthog ivory, buffalo horn, giraffe bone, mother of pearl and camel bone and also old ivory piano keys. 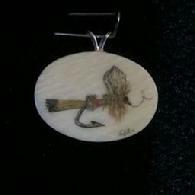 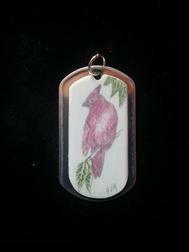 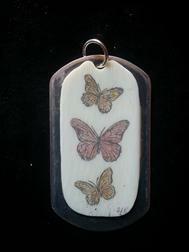 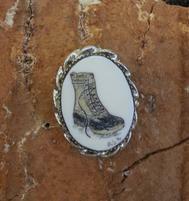 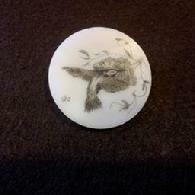 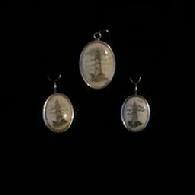 Scrimshaw is finely etched lines and dots done by hand with a very sharp scribe under a microscope. 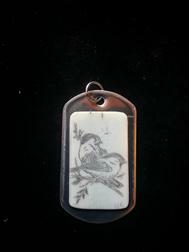 Do not clean your scrimshaw with any liquid, simply wipe it with a soft cloth and keep perfumes and make up away from it if possible. 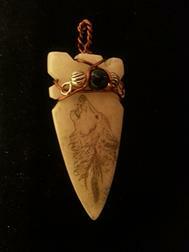 I work with tagua nut (vegetable ivory), antler, old ivory piano keys and vintage/pre-ban elephant ivory. 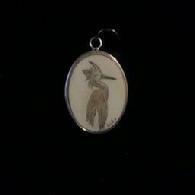 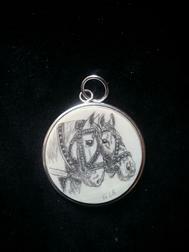 Prices are hard to say in general, as most of my pieces are commissioned and each piece is different. 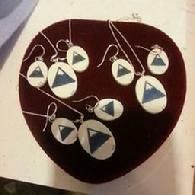 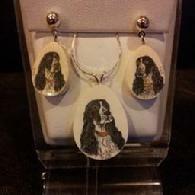 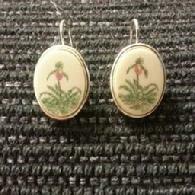 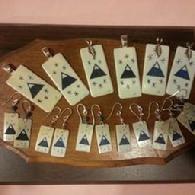 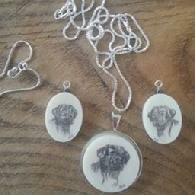 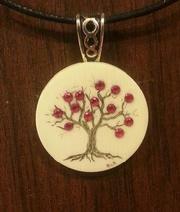 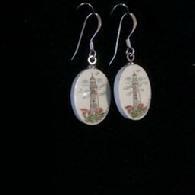 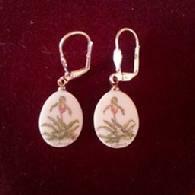 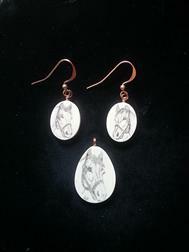 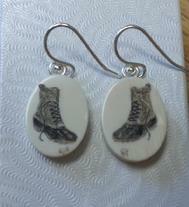 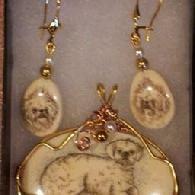 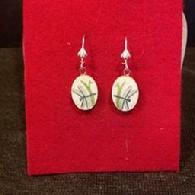 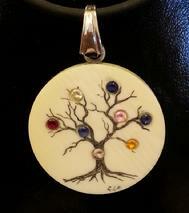 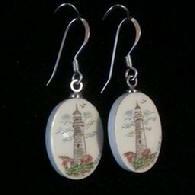 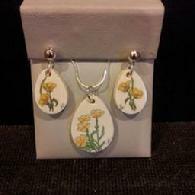 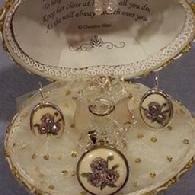 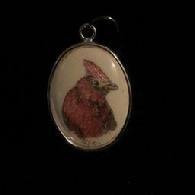 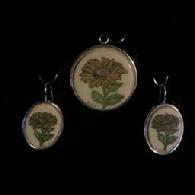 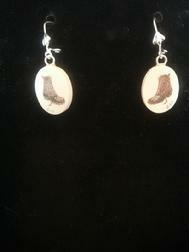 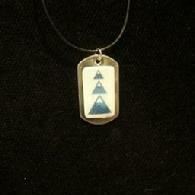 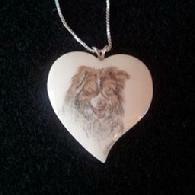 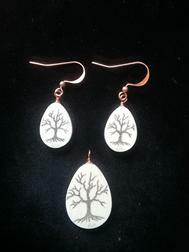 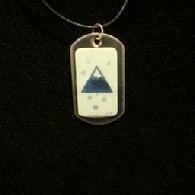 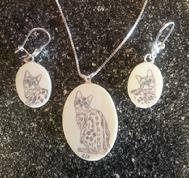 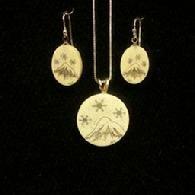 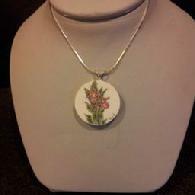 On average a pendant and earring set starts at $150.00 and earrings or pendant alone start at $75.00.